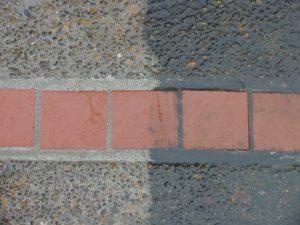 Pressure Washing – Waterworks NW specializes in residential and commercial pressure washing in Portland, Oregon and surrounding cities. Our specialties are vinyl sided homes, concrete such as driveways, walkways and curbing, Trex and other composite decking and vinyl fencing. We restored wood decks and fencing for nearly 20 years, and on occasion we still will clean them, but on a case-by-case basis. Vinyl Siding – It can be a terrific thing when done correctly. Pressure washing is a perfect way to wash away years of mold, mildew and grime, but if done incorrectly it can cause damage to your home. Our soft water washing method uses absolutely no pressure near your siding or windows. We have 25 years of experience and only the finest pressure washing equipment in the industry. High pressure can not only remove dirt and grime, but it can remove paint, caulking and break window seals. High pressure around double and triple pane windows can rupture the seal causing Argon gas to escape. 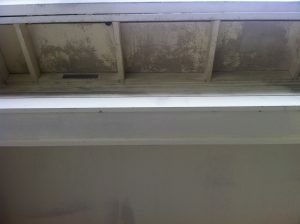 Over time your window will develop discoloration and condensation. One of the leading causes of premature paint failure is incorrect surface preparation. The first thing you have to do is start with a clean surface. This means you have to remove the mold, mildew and dirt on the surface. Using water alone is not enough to clean the surface. Soft water washing is a great way to rid the home of these contaminates. Our process completely covers the exterior gutters, eaves and siding with our cleaning agent. It’s left to dwell for a few minutes then simply rinses away; leaving your home spotless and windows intact. Concrete Cleaning – There is a misconception that pressure from a pressure washing machine is what cleans concrete. This is incorrect. It’s actually water volume that has more cleaning power. The more water volume you have, the less pressure you can use to clean concrete. One of the common questions we get asked is, will pressure washing damage my concrete? It certainly can in the wrong hands. What about aggregate driveways? Will pressure washing remove the rocks? While high pressure held to close to the surface can help to dislodge rocks, the real culprit is moss, algae and dirt. 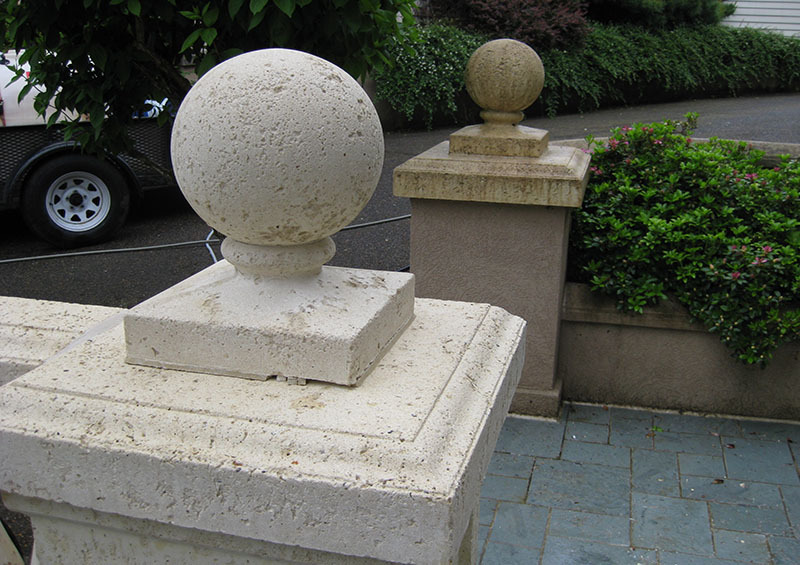 These contaminates work their way between the rock and concrete over time and loosen the rock. The rocks don’t move because they are held in place, but when cleaned the rock dislodges. Having the right equipment can certainly minimize this, but it can still happen to a degree. The best way to clean concrete is to talk to an expert. Let us evaluate the condition of the driveway before cleaning. The use of environmentally conscious cleaning agents can certainly help ease the use of high pressure on driveways and walkways. Trex Deck – We do wash Trex and other composite decking using a hybrid method of low pressure cleaning and environmentally conscious cleaning agents. In Portland, Oregon, moss, mold, algae and pollen are the main contaminates. This method of cleaning works great and will make the deck look like new again. But, you do have to be very careful about using the right type of pressure washing equipment and cleaning agents.